NB: The starter has full control of all competitions with discretion to vary these times in extenuating circumstances. 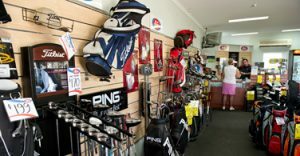 Narooma Golf Club is a member of the Far South Coast District Golf Association. 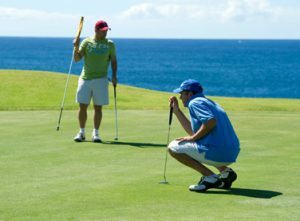 The Far South Coast District Golf Association is responsible for the promotion and conservation of the best interests and true spirit of the game of golf as well as to advance and develop the game in the Far South Coast District. The Association also arranges and administers major open and junior tournaments in the District and each year manages Intra-district matches (the Association Pennant series) and, periodically, matches with other District Associations. The lowest marker in each game is responsible for the observance of the etiquette of golf and the speed of play. No one should move, talk, stand close behind the ball or the hole when a player is addressing the ball or making a stroke. The player who has the honor should be allowed to play before his opponent or fellow competitor tees his ball, but not to the extent that it delays play. No player shall play until the party in front is out of range. A player who has incurred a penalty should indicate the fact to his opponent or marker as soon as possible. Players while searching for a ball should allow other matches coming up to pass them; they should signal, should not continue their play until those players have passed and are out of range. 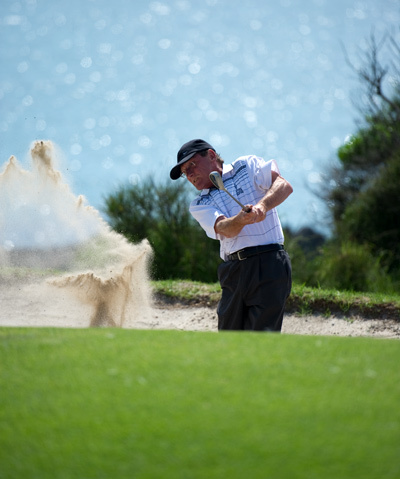 Having played out of a bunker, a player should carefully rake the bunker and return rake to marked area outside of bunker. Players should ensure that any turf cut or displaced by them is replaced at once and pressed down and on the putting green any mark made by them is obliterated as far as possible after the players have holed out. When the result of a hole has been determined, players should immediately leave the putting green and should not replay their putts or practice putting. 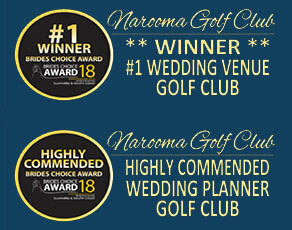 Contact the Narooma Golf Club Pro Shopfor more details.